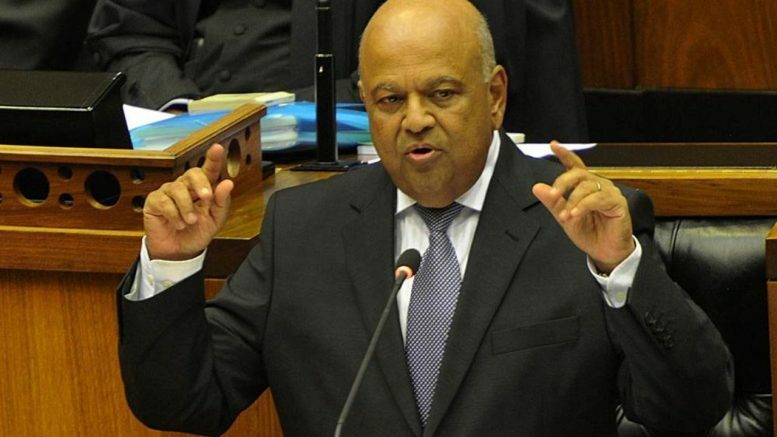 Cape Town – Finance Minister Pravin Gordhan had a tough message for South Africans in Wednesday’s Budget Speech in the National Assembly, with the introduction of a new tax bracket for the very rich, state debt creeping up and almost all economic indicators and fiscal numbers weaker than in last year’s budget. An additional R28bn will be collected in the coming financial year by means of those earning more than R1.5m per year paying 45% of that back to the taxman (the previous top rate was 41%), limited adjustment for bracket creep, a fuel levy rise of 30 cents per litre, a higher dividend withholding tax rate and the usual rise in sin taxes (excise on alcohol and tobacco). While it looks like Gordhan made an effort to appease his critics, listening to him was tinged with sadness on the impression that it was his last budget after making a comeback as finance minister just more than a year ago. • State debt is also steadily creeping up. Debt stock as a percentage of gross domestic product is expected to stabilise at 48.2% in 2020/21 (previously 46.2% in 2017/18, and before that 43.7% in 2017/18). • An additional R28bn (R18.1bn last year) of tax revenue will be raised in 2017/18. Measures to increase revenue by a proposed R15bn in 2017/18 will be outlined in the 2018 Budget. • R30bn has been reprioritised through the budget process to ensure core social expenditure is protected. • R490bn (R457bn last year) on social grants. • R106bn (R93.1bn) on transfers to universities, while the National Student Financial Aid Scheme will spend R54.3bn (R41.2bn). • R751.9bn (R707.4bn) on basic education, including R48.3bn for subsidies to schools, R42.9bn for infrastructure, and R12.7bn (R14.9bn) for learner and teacher support materials. • R114bn (R108.3bn) for subsidised public housing. • R94.4bn (R102bn) on water resources and bulk infrastructure. • R189bn (R171.3bn) on transfers of the local government equitable share to provide basic services to poor households. • R142.6bn to support affordable public transport. • R606bn on health, with R59.5bn on the HIV/Aids conditional grant. • A new top marginal income tax bracket for individuals combined with partial relief for bracket creep will raise an additional R16.5bn. • R6.8bn will be collected through a higher dividend withholding tax rate. Increases in fuel taxes and alcohol and tobacco excise duties will together increase revenue by R5.1bn. • As soon as the necessary legislation is approved, government will implement a tax on sugary beverages. The rate will be 2.1c per gram for sugar content above 4g per 100 ml. • Child support grant from R355 to R380. Be the first to comment on "Budget in a nutshell: Tough times ahead"